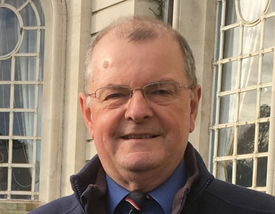 Commander Nicholas Rodgers joined the Royal Navy in 1982 after graduating from Birmingham University with a Masters in Meteorology and Applied Climatology and served as a specialist in operational meteorology and oceanography until 1998. After leaving the RN he taught meteorology and oceanography at Cardiff University where he developed an interest in storm surges in the Bristol Channel and the Island of Jersey. Commander Rodgers left the University in 2017 and currently works as a freelance meteorologist. He is a Fellow of the Royal Meteorological Society and Vice Chair of the Welsh Centre. He is married with a daughter and lives in south Wales.